Test drove an Electric Smart car. Lovely car. 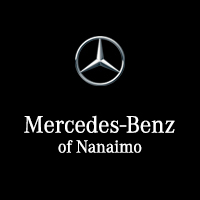 You’ll feel like family at Mercedes-Benz Nanaimo. They are professional, helpful and welcoming. See Matt Wakefield to purchase your next vehicle! He will exceed your expectations in your next car buying experience! Bought a Mercedes here 2 years ago, and this week had a small concern with a service issue, and John the service manager listened and took great care of our service issue. Very polite , and professional. The next Mercedes will also be purchased here. Good service and thorough service job. Brought my car in for a recall, also got the annual service done, service was awesome and David the service guy was super helpful and friendly. He recommended a service package which saved me money!